Virgil van Dijk believes the best way for Liverpool to defend their Champions League advantage against Manchester City is by attacking them again. The Reds travel to the Etihad Stadium tonight for the second leg of their quarter-final tie with a 3-0 advantage after last week's remarkable first encounter. City will need to go on the offensive and Liverpool defender Van Dijk is concerned that sitting back in the hope of protecting the lead will play into their hands. "It is pretty clear that defending a 3-0 lead is going to be a bit of a strange situation," said the Dutchman, speaking at a press conference hosted by City at their training complex. "We need to come here with the mindset it is still 0-0 and we want to win the game. "We know we are capable of scoring goals, we know as a team we can defend pretty well, but the main thing is we definitely need to keep the mindset of winning the game instead of defending a lead." Liverpool scored all three of their goals in a whirlwind first half at Anfield and City may need to produce a similarly powerful start to revive their hopes. 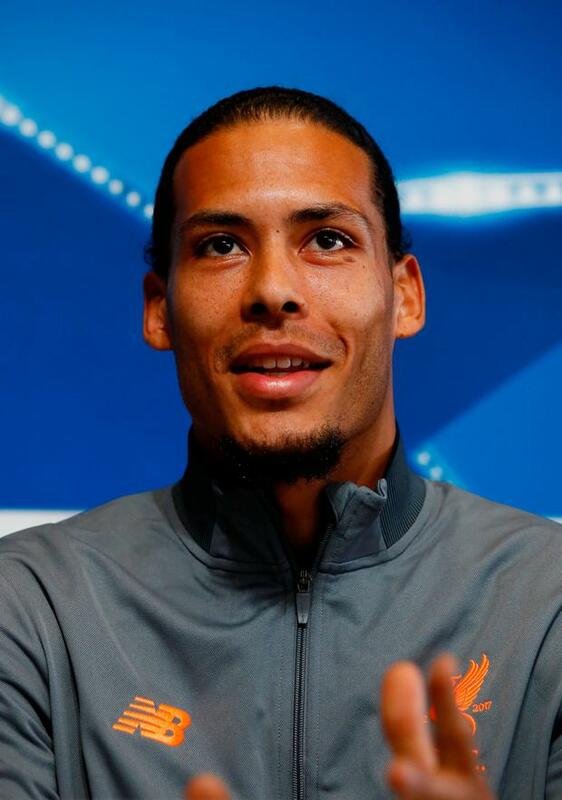 Van Dijk said: "We need to stay calm. We are not going to think we are going to concede early. That is not the mindset we want going into the game. "We are full of confidence but we know it is going to be a different game. They need to come and we need to be prepared for everything. "As a team we feel like we are in a great moment at the moment, and we can make it difficult for any team in the world, but we need to show it. "We need to be ready for a fight, ready for a good game - and we will be." Van Dijk is not concerned that Liverpool's team bus could be targeted in a revenge attack after the City coach was pelted with missiles on arrival at Anfield last week. The 26-year-old said: "I can't comment on what happened before the game. I had no control over that. We just need to be ready for the football match. That's the only thing we can have influence on." Van Dijk joined Liverpool in a club record £75million deal in January and occasions such as this were one of the main motivations in deciding to move. He said: "I came, definitely, to Liverpool to achieve everything that is possible and I am enjoying every day, every bit of it."